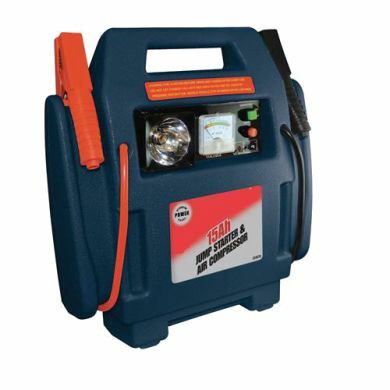 Jump Starter/Compressor With starting boost of 400A peak boost 900A. Maximum air pressure output of 260psi. built-in work/emergency light and 12Ah internal battery.